“CNN Tonight” anchor Don Lemon was one of four panel members who filled in for the namesake host on “The Wendy Williams Show” Monday, Jan. 14. Williams is reportedly recovering from a shoulder injury. The syndicated talk show was scheduled to return Jan. 7, but pushed back the date a week, filling Jan. 7-11 with reruns. When it was revealed that Williams could not return Jan. 14, the show announced it would return with all new episodes in a panel format. Lemon, who is a frequently panelist on “Wendy,” was the de moderator, with his name being announced first and taking the lead introducing the panel. Other panel members included actor and comedian and “The Juicy Scoop” podcast host Heather McDonald. Variety and Page Six TV’s Elizabeth Wagmeister also served as a panel member. Lemon also mentioned on air that Williams will return next week and made a joke that it takes four “co-hosts” to replace her. 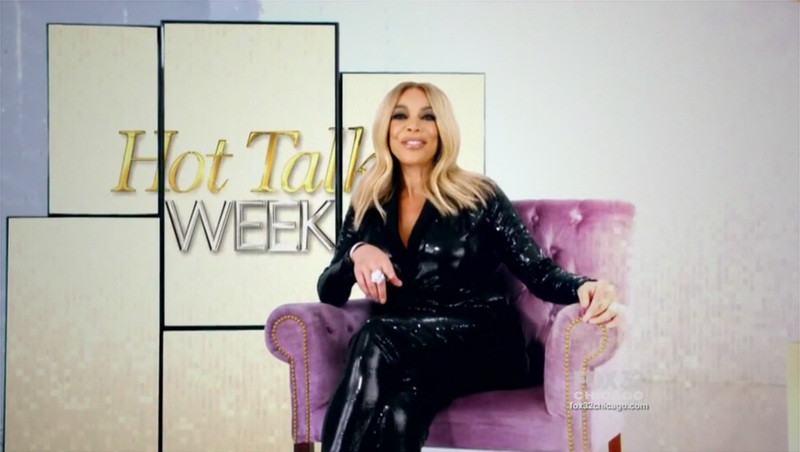 The show’s open still used the same theme music but the final scene was modified to include a “Hot Talk Week” graphic in the monitor array behind the photoshoot-style video of Williams. The panelists sat in front of the set’s video wall behind the normal panel desk, while a gold “Hot Topics Week” graphic was used behind them. Where can I buy the furniture on the 'Strahan and Sara' set? Who filled in for Wendy Williams? What is an establishing shot? Does 'The Big Bang Theory' set really have four floors? Where does MSNBC's 'Morning Joe' film? Why are Joe and Mika in different locations?